Fresh fruits,ginger,lemon and sweetness from ginger syrup,make this crumbled taste really well together, The crumbled can be serve warm with whipped topping or scoop of ice cream. serve warm with a scoop of ice cream or whipped cream. Nice award, I comes from Indonesia, visiting here to support this blog. WOW! Thanks a bunch for the award, Ridwan. :) The crumble looks devastatingly delicious. 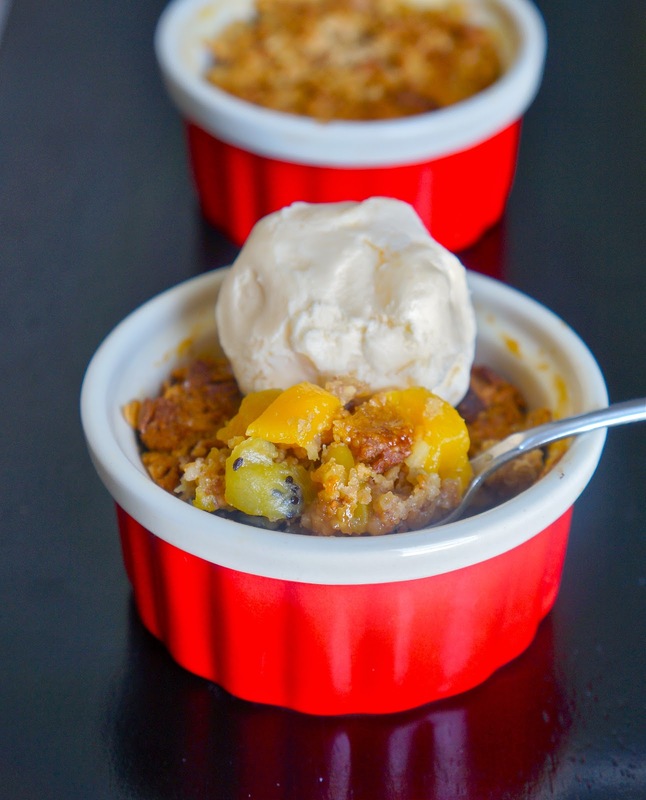 I have only made crumbles with apples before but this crumble looks and sounds more enticing with all the exotic fruits. Thank you so much for this award! U r so thoughtful! U deserved every one of them! Great blog awards received, congrats to you and those you are passing it on. 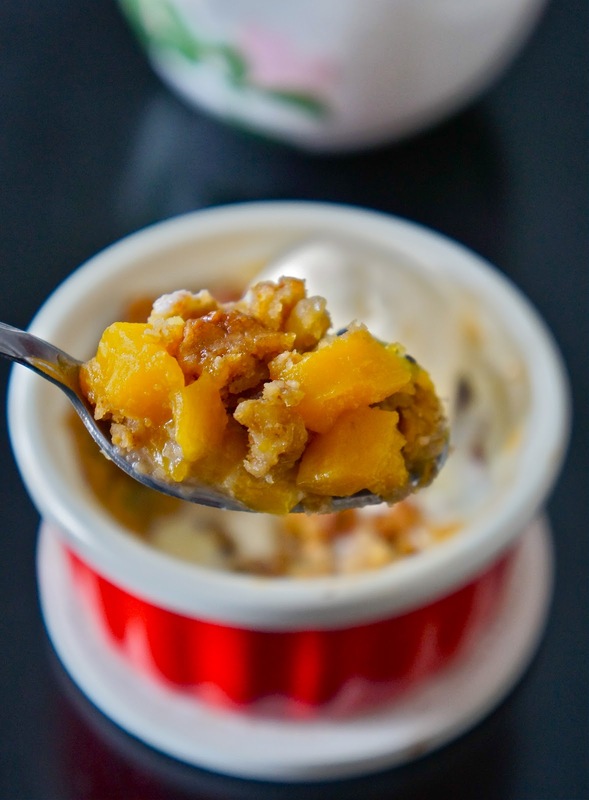 Mango with the rest makes a lovely dessert, what more with crumbled to ooze up the taste further. That's such a delicious dessert, Ridwan! I love the combination of flavors in there! Congratulations on all the awards! So well deserved! Congratulations on the awards and the dessert--it looks delicious and nice and easy. 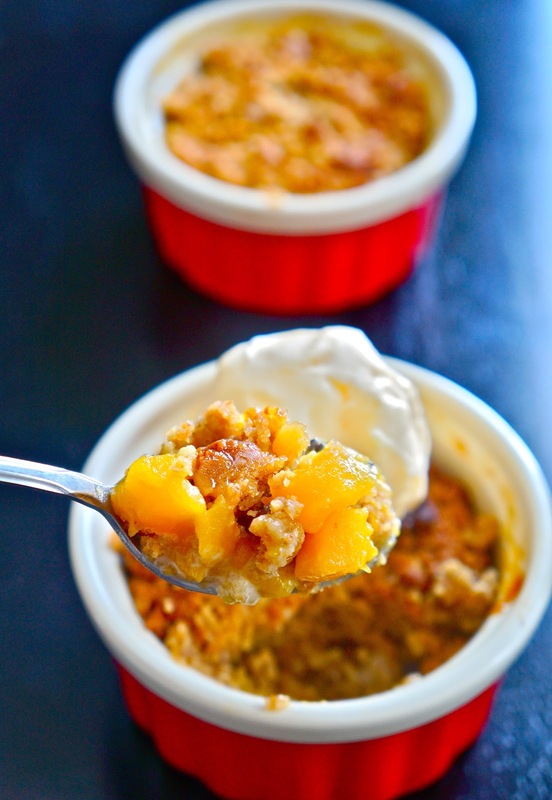 Your crumble sounds amazing...I'll have to add pickled ginger to my next one...yum!!! And I'm so honored by this blogger award...thank you, Ridwan!!!! Ridwan, thanks so much for passing on the wonderful award to me. I feel very honored! And congrats for the awards you received, you totally deserved every single one of them. Great idea for a crumble, Ridwan!! I've never even thought about using kiwi and mango! Must agree with you that the addition of ginger to mango and kiwi can really bring out the extra taste of these yummy fruits. Congrats with your awards and thanks for passing on the awards. I'm very honored to receive them. Thanks! This look delicious. What's ginger syrup?